Duration of work: 3 Weeks. 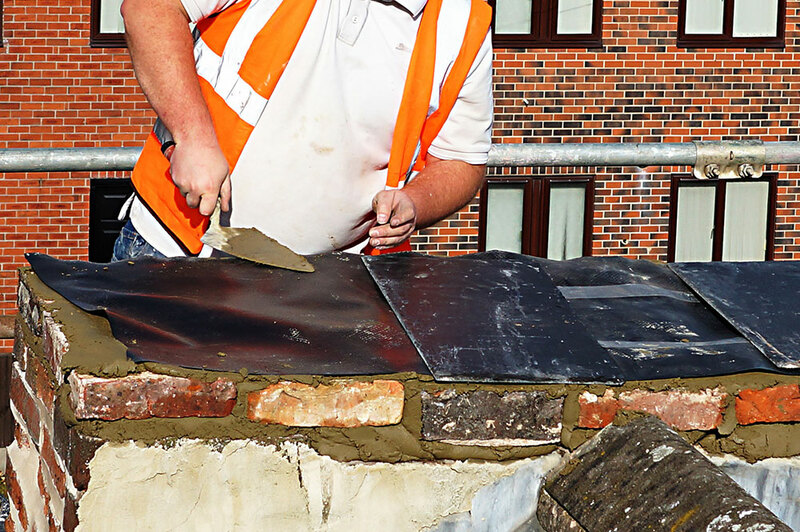 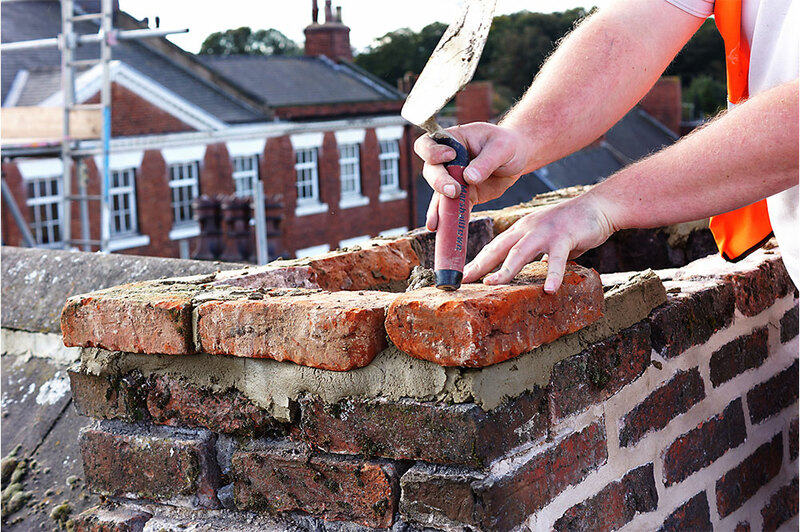 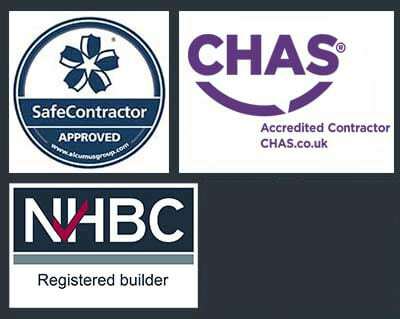 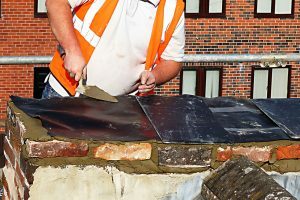 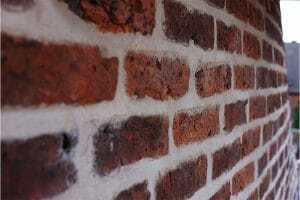 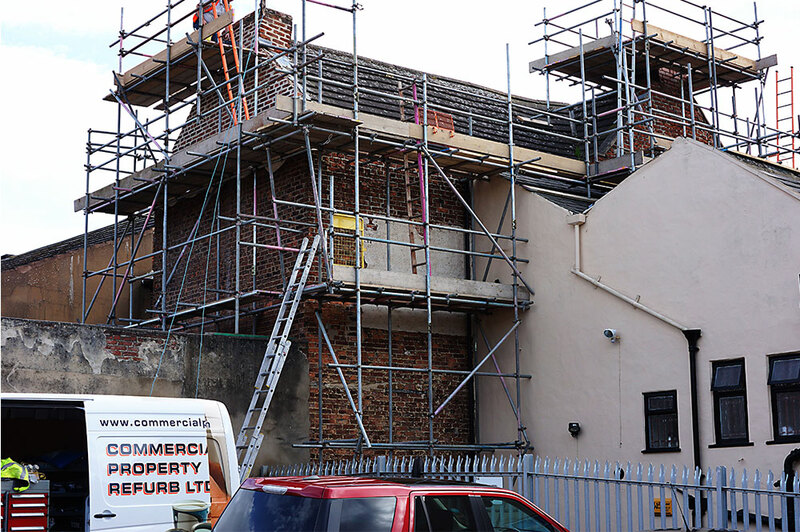 CPR Ltd successfully secured the works through a competitive tender process. 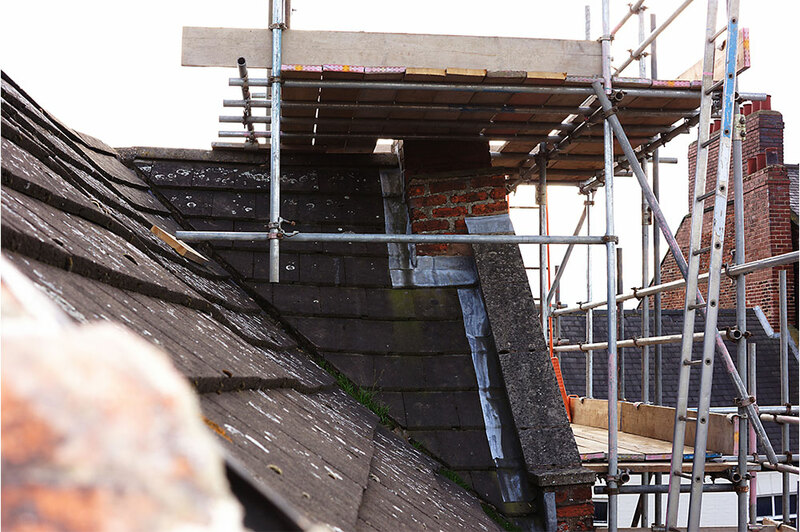 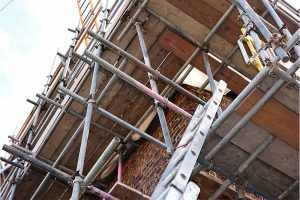 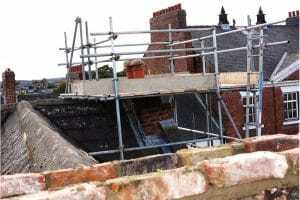 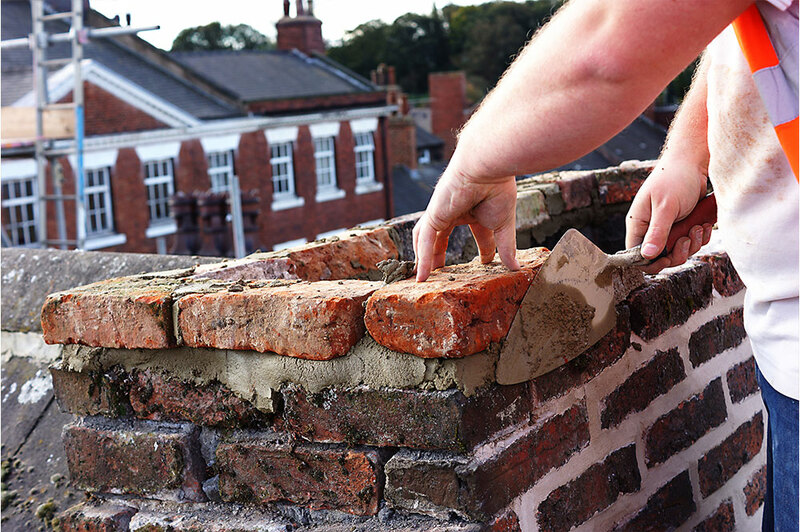 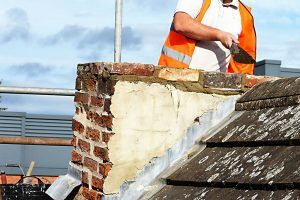 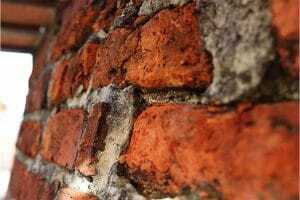 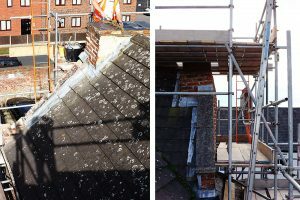 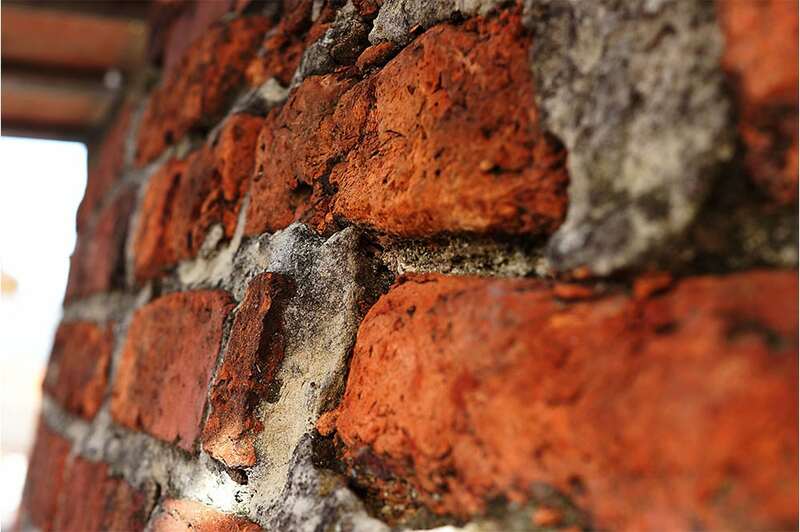 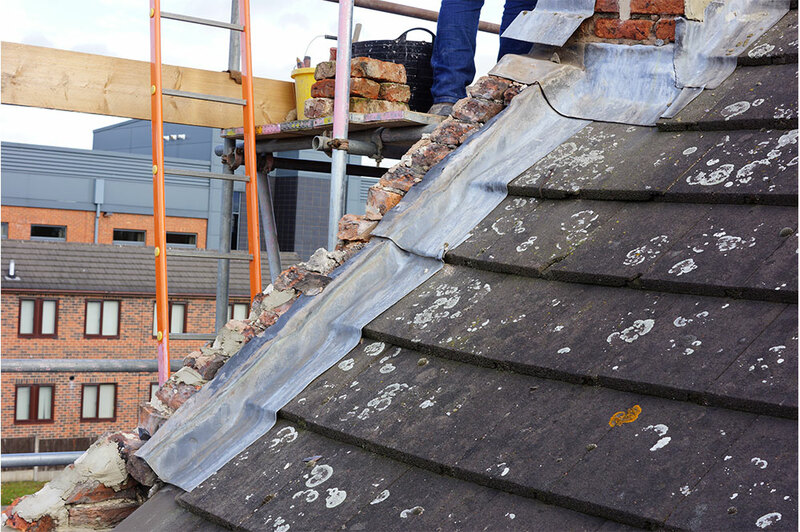 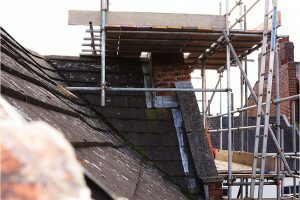 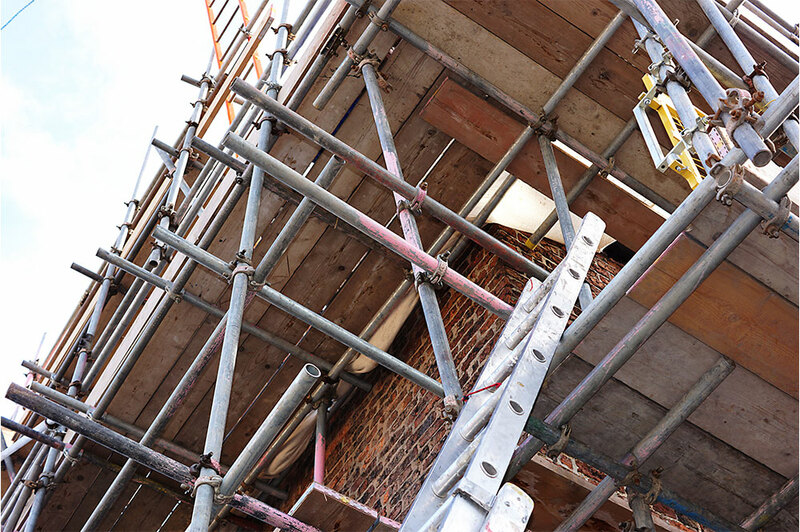 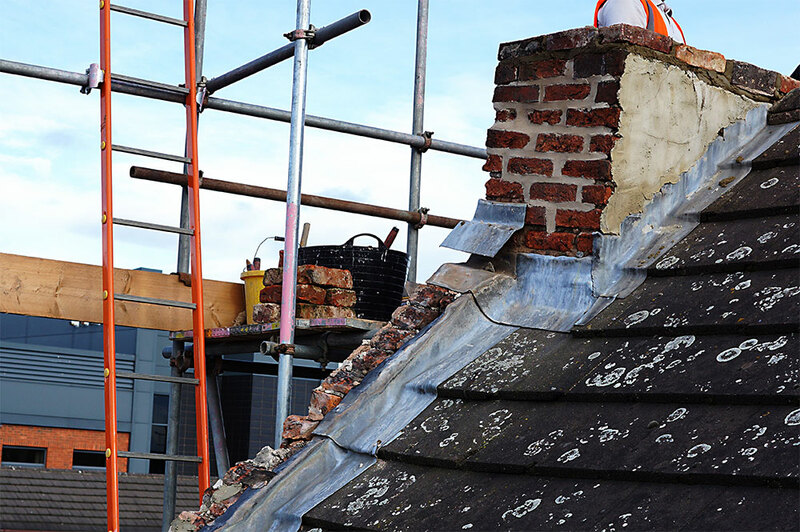 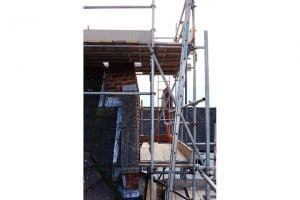 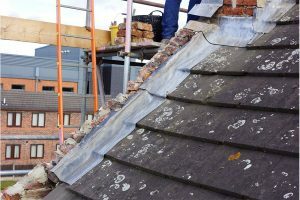 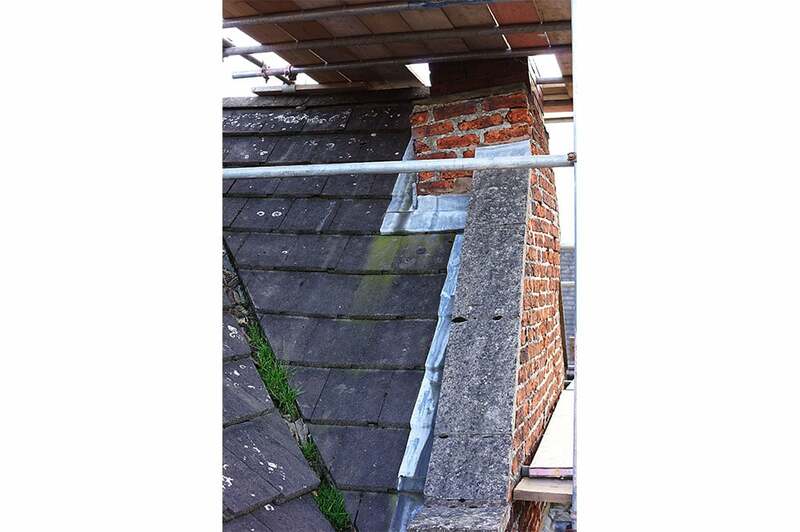 We were appointed to undertake remedial works to a commercial tenanted property on behalf of the landlord. 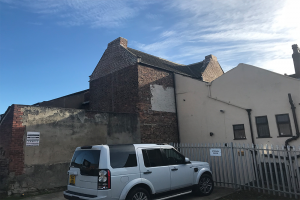 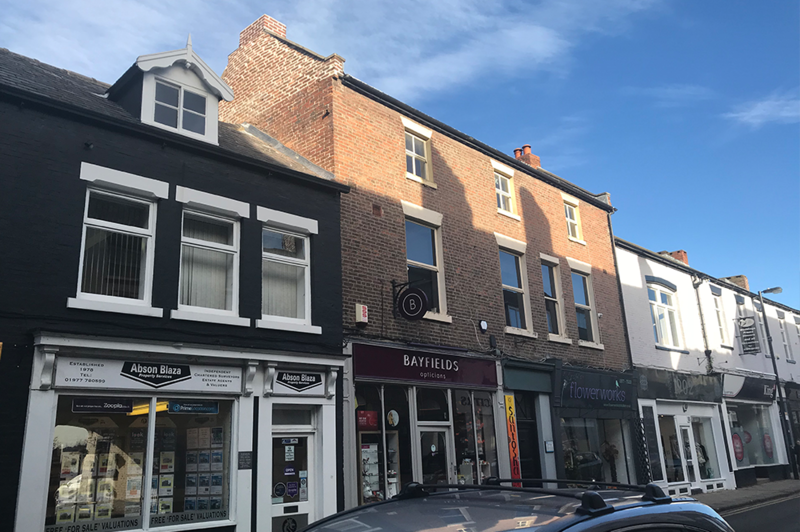 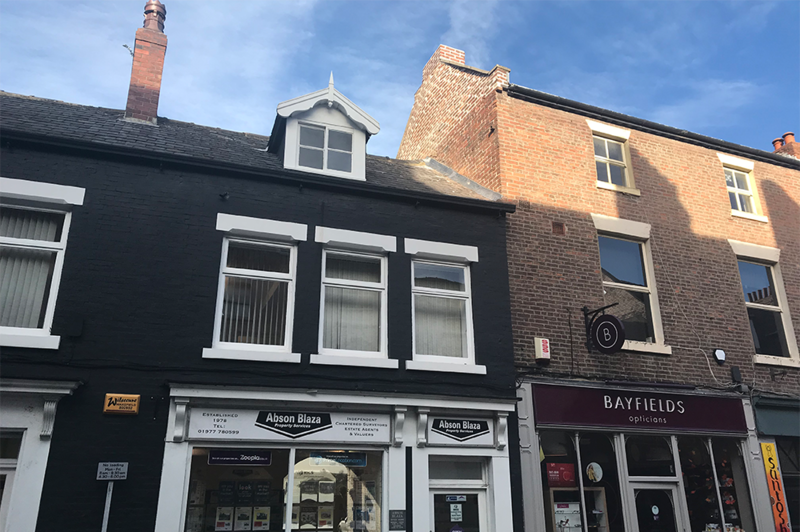 The property: a mid-terraced centrally located 3 storey building provided a challenge regarding access to the area of works and general logistics throughout the duration. 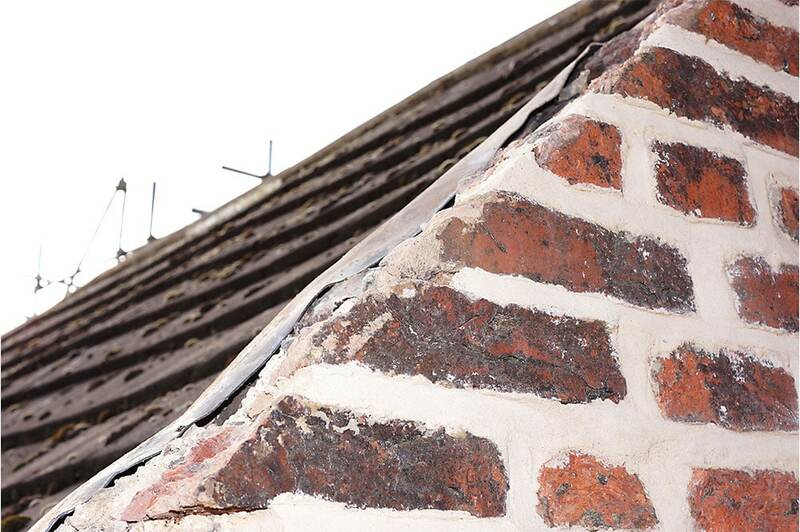 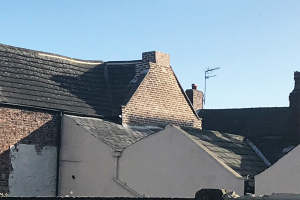 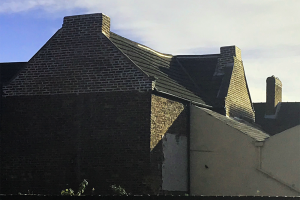 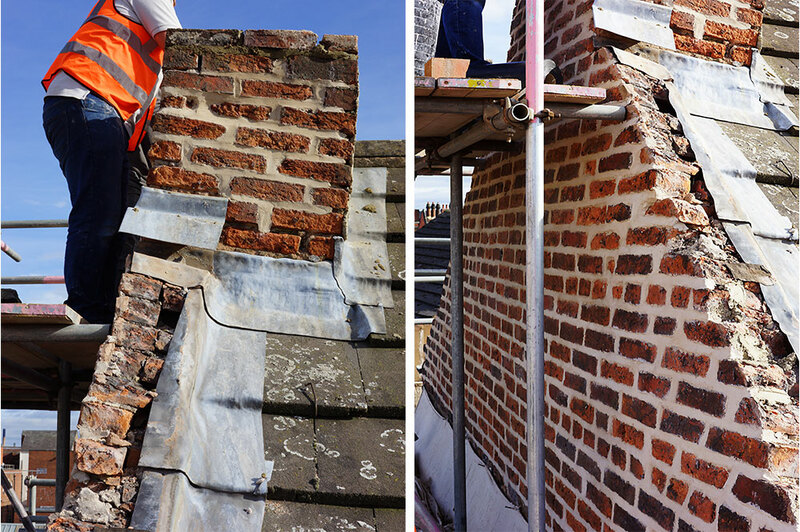 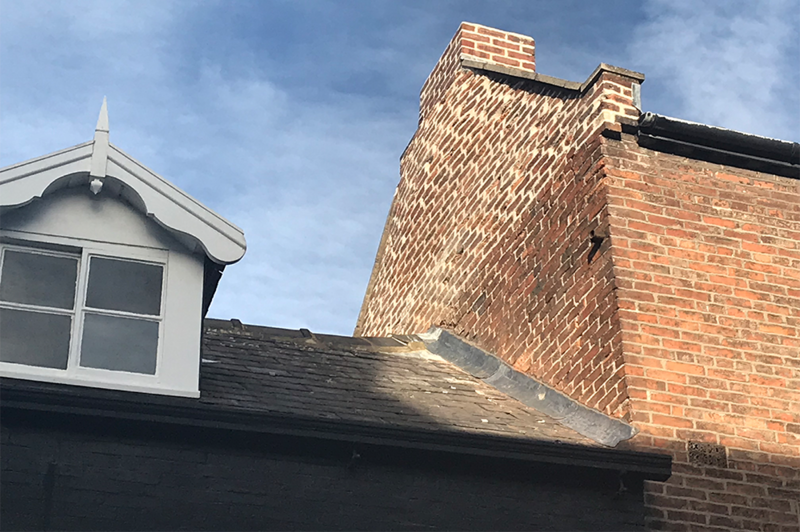 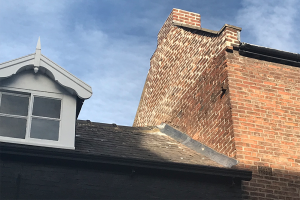 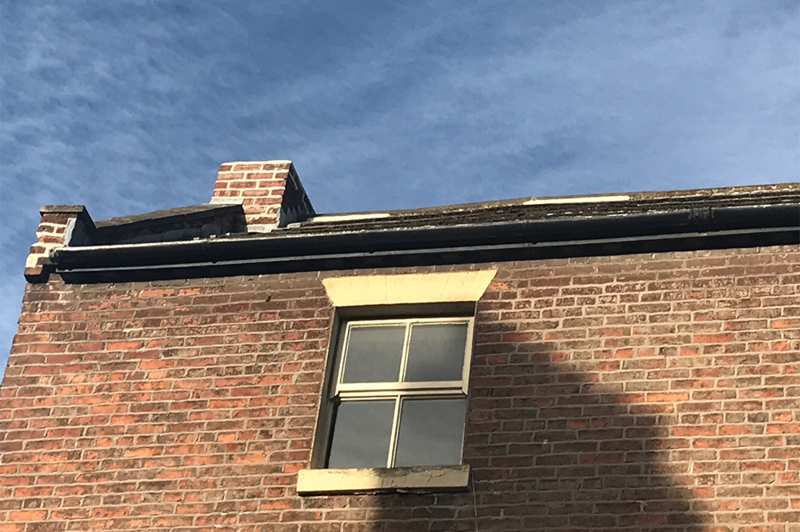 The brief consisted of addressing water ingress and retaining the structural integrity of the chimneys to both the north and west elevation both internally and externally. 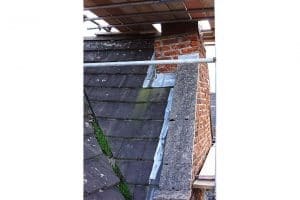 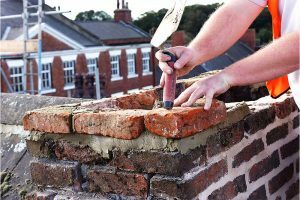 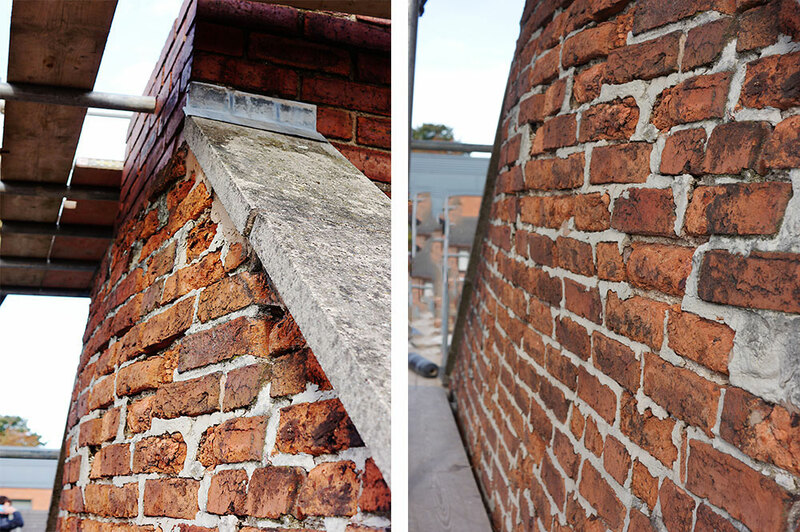 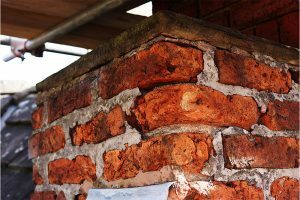 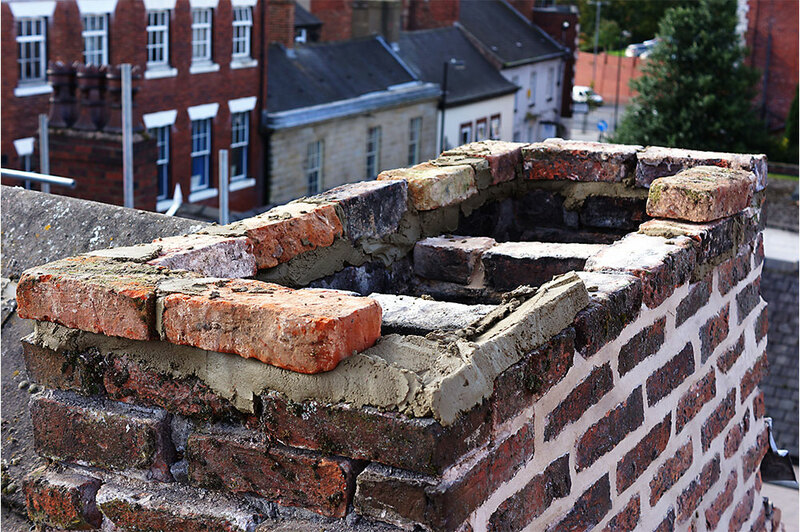 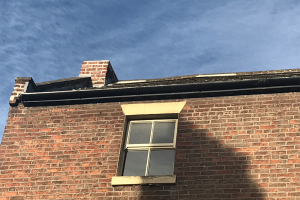 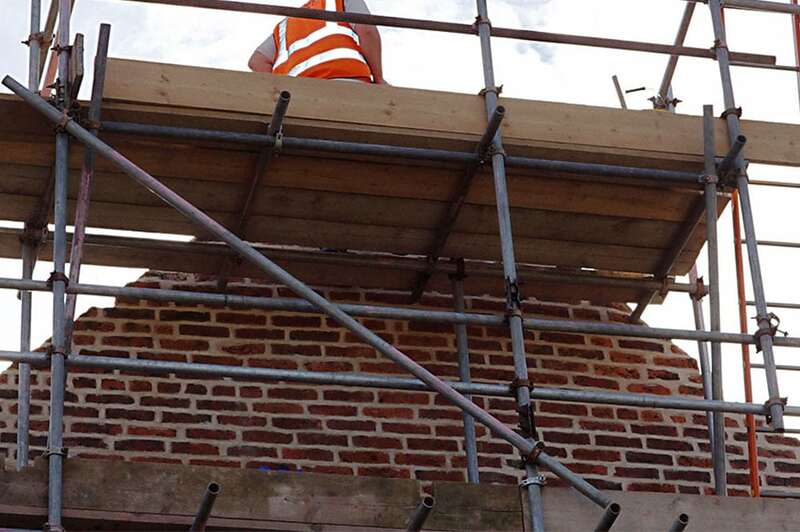 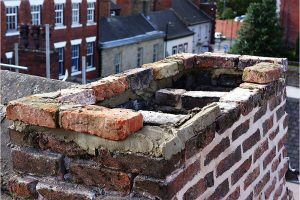 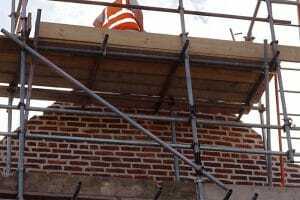 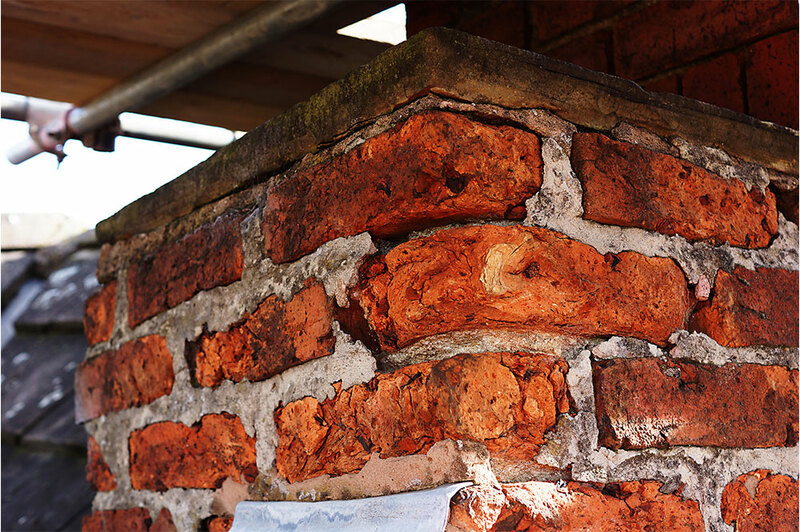 Due to the building being listed we had to source and use appropriate materials including reclaimed handmade bricks and hydraulic lime to sympathetically restore external elevations. 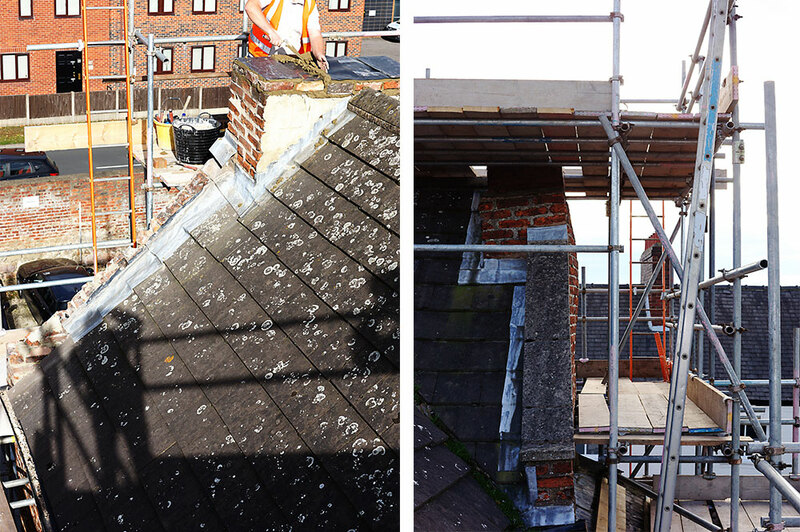 A day to day photo diary was kept for record purposes.